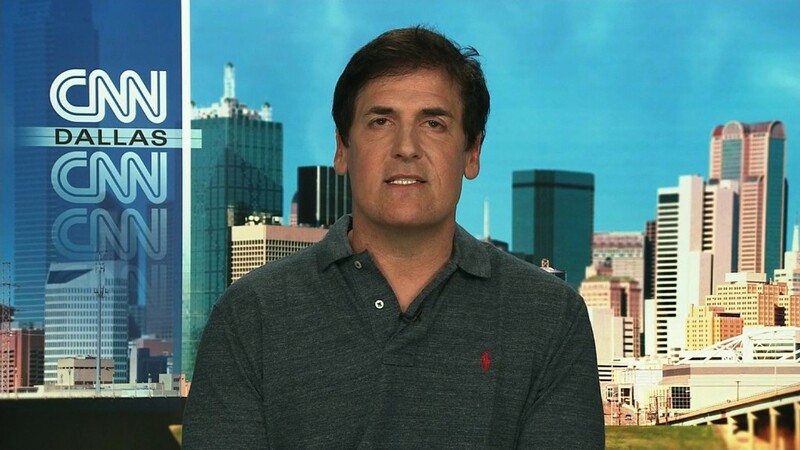 Mark Cuban wants a chance to grill Donald Trump. And he's offering the GOP presidential candidate $10 million to do so. Cuban, star of ABC's Shark Tank and a frequent Trump critic, tweeted that he'd give the money to the charity of Trump's choice "if you let me interview you for 4 hrs on your policies and their substance." Cuban sweetened the pot, adding that "if you need it, I'll write you the check and you can keep the money" instead of donating it. "In the immortal words of you 'What do you have to lose?'" he tweeted. .1) @realDonaldTrump $10mm to the charity of YOUR choice if you let ME interview you for 4 hrs on YOUR policies and their substance. Of course, Cuban has some ground rules: Trump can't mention his opponent Hillary Clinton or former President Bill Clinton in any of his answers, "or discuss anything other than the details and facts" of his plans. Additionally, Trump wouldn't be allowed to have anyone else in the room with him to help him with the answers. Trump unveiled details of his economic plan in a speech Thursday. It called for lowering taxes, removing "destructive" regulations, increasing U.S. energy production, and negotiating new trade deals in favor of American businesses. Cuban has long been critical of Trump and his proposals, blasting his economic proposals on Twitter. Cuban has also said repeatedly on news that the U.S. financial markets will "tank" if Trump is elected. Trump mocked Cuban when he was asked about that prediction recently in an interview on Fox Business. "The problem with Mark, he is not smart enough to understand what we are doing," Trump said. Cuban responded to that shot with tweets mocking Trump's plan as "Jibberish. Not a plan." "You must have flunked economics at Fordham (when you didn't get into Penn)," Cuban tweeted Friday. Cuban also explained why he wanted to be the one asking Trump questions. He said mainstream media is too distracted by side issues, such as whether President Obama was born in the United States, to hold Trump accountable for details when questioning him. "Force Trump to respond to questions he can't answer rather than those he won't answer," he said.